Chinese billionaire Lam Kok is feared dead in a helicopter crash that happened as he was surveying his newly-purchased vineyard in south-west France. The helicopter, carrying the billionaire and his 12-year-old son, the chateau’s ex-owner James Gregoire and an interpreter, came down in the river Dordogne. Police have found the wreckage but have not yet been able to locate all of the missing passengers. The sale of the Bordeaux vineyard had received much local publicity. 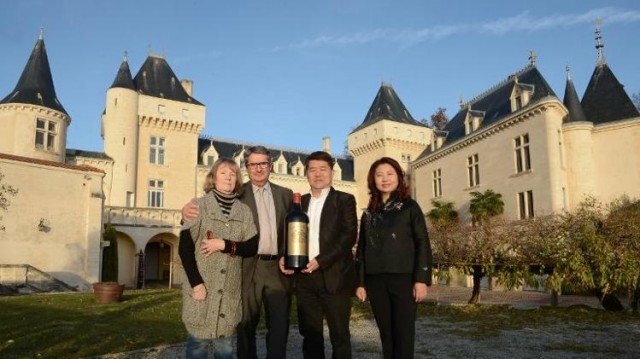 It was believed to be the biggest investment yet by a Chinese businessman in the Bordeaux wine region. There had been celebrations at the 16th Century Chateau de la Riviere estate on Friday when its sale for an undisclosed sum to Lam Kok was confirmed. The 46-year-old Hong Kong-based tycoon, who specializes in fine teas, had plans to turn the 160-acre estate into a tea and wine tasting centre. After the introductions and a news conference, the former owner, James Gregoire, offered to give Lam Kok an aerial tour of the estate by helicopter. An AFP photographer at the event said Lam Kok’s wife pulled out at the last moment, saying she was “scared of helicopters”. James Gregoire flew the helicopter; a short time later locals reported seeing it crash into the river. The Chinese embassy in Paris is sending consular officials to the scene. China has recently become the largest export destination for Bordeaux wines and over the past four years, dozens of French chateaux have been bought by Chinese investors.